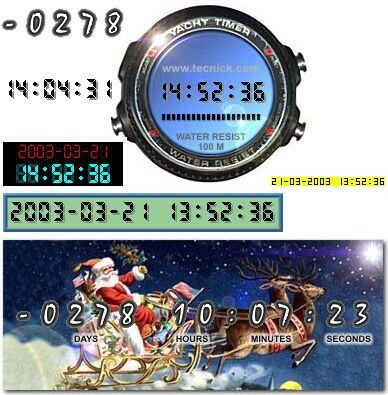 JADC (Advanced Digital Clock) 1.0.007 free download. JADC (Advanced Digital Clock) is both a time counter and a digital clock. JADC (Advanced Digital Clock) is both a time counter and a digital clock. JWTM (Web Tree Menu) is a free Open Source web tree java menu applet, a comprehensive solution for website navigation. Pawclock is a highly-configurable advanced digital clock. JDDM (Drop Down Menu) is a free Open Source drop down java menu applet, a comprehensive solution for website navigation. Hamsin Clock is a very customizable digital desktop clock with powerful alarm system. Panorado is a Java applet which lets you view panoramic images within a HTML document.